Trio Brasileiro – SOLD OUT! 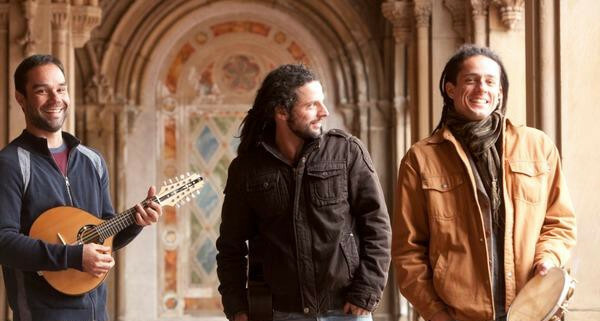 Siskiyou Music Project welcomes Trio Brasileiro for their first appearance in southern Oregon. 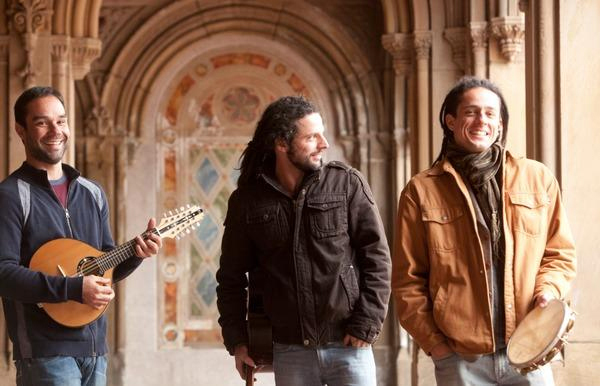 Formed in 2011, Trio Brasileiro has already made a name for itself as an ensemble worthy of international attention. Their stunning virtuosity is matched with remarkable musicianship and a deep devotion to the language of music, allowing them to achieve a one-of-a-kind sound that shares equal parts understated subtlety and irresistible groove. But it is their love of the traditional music of Brazil and the connection between brothers – by birth and by bonds of friendship – that create a very rare and profound beauty. Half of the highly regarded Brazilian Choro and Samba ensemble, Caraivana, Trio Brasileiro includes the celebrated guitarist and full time member of the award-winning Brasil Guitar Duo, Douglas Lora; one of Brazil’s finest mandolin virtuosos, Dudu Maia, and the amazing percussionist, Alexandre Lora. Their first U.S. tour in autumn, 2012, met with overwhelming success, with sold out performances and standing ovations all along the route. The Trio has continued to tour annually, performing for eager audiences everywhere it appears. In addition to its numerous concerts in Brasília and São Paolo, Trio Brasileiro has made concert stops in New York, Boston, Minneapolis, Bloomington, Louisville, Lexington, Cedar Rapids, Seattle, and Portland, in addition to its annual residency at the Centrum Choro Workshop in Port Townsend, Washington. In 2013, Trio Brasileiro collaborated with the celebrated Israeli clarinetist Anat Cohen, recording a brilliant new CD set for release late in 2014. Cohen joined the Trio on several North American tour stops, including Seattle, Portland, and New York. Trio Brasileiro is dedicated to performing the great traditional choro music of Brasil by Jacob do Bandolim, Ernesto Nazareth and others, as well as their own compositions, which are modern reflections of the genre. Trio Brasileiro released their first recording, Simples Assim, in 2012.
http://www.siskiyoumusicproject.com/wp-content/uploads/2015/01/Trio-Brasileiro.jpg 386 600 Webmaster http://www.siskiyoumusicproject.com/wp-content/uploads/2013/07/SMP-Logo.jpg Webmaster2015-04-30 09:00:212016-03-13 16:28:19Trio Brasileiro - SOLD OUT!